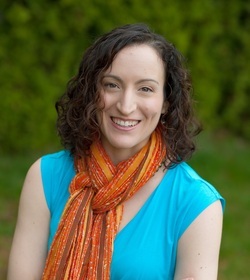 Rebecca Kitzerow is a licensed acupuncturist practicing in Portland, Oregon. Born and raised in the San Francisco Bay Area, she was exposed to acupuncture and Chinese medicine from a very young age. Indeed, when Rebecca was 9, her mother became ill and sought help from one Dr. Yat Ki Lai, LAc whom she later learned was one of the founders of the American College of Traditional Chinese Medicine in San Francisco. As a child, Rebecca would accompany her mom to these weekly acupuncture appointments in the city, and this exposure sparked an early interest in Chinese culture. This lead her to major in East Asian Studies with a minor in Chinese Language in college, to spend a year abroad in China during that time and, after a brief hiatus working as a grant writer and Membership Director at the Portland Classical Chinese Garden, to finally get a Masterʼs Degree in Acupuncture and Traditional Chinese Medicine. She then opened her own acupuncture clinic in 2006. Truly, this early exposure to Chinese Medicine sparked an interest in Chinese Culture that would last a lifetime. exhausting. She has worked in her own business to combine the drive behind a “do it yourself” attitude with a tech-savvy approach to assistance, attempting to amalgamate low-cost operation and hands-on effort with systems that make a solopreneur practice both easy and successful. This approach allowed Rebecca to open up her own shop and be practicing full time within six months of getting her license and she is still seeing success as an LAc, business owner and mom who can be focused on her patientʼs individual needs in any given moment.